I'm so excited to have teamed up with Betsy Farmer Designs to host an amazing giveaway! I purchased my own gold bar necklace from Betsy a few months ago, and it has only come off my neck...once? Maybe. It's the perfect simple necklace for everyday wear, and it goes with everything! My necklace has "e+k" one one side, and has our wedding date stamped on the other. It's so special to me and I love being able to wear something that shows my love for my husband. Betsy has graciously offered to giveaway not one, but TWO 14k gold fill bar necklaces to one of my Instagram followers and a friend! 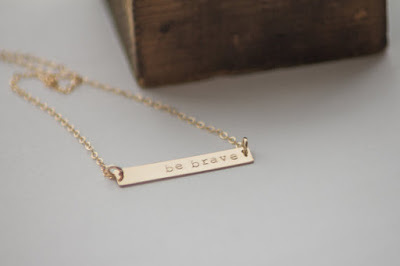 The winners will get to personalize their necklaces however they'd like. 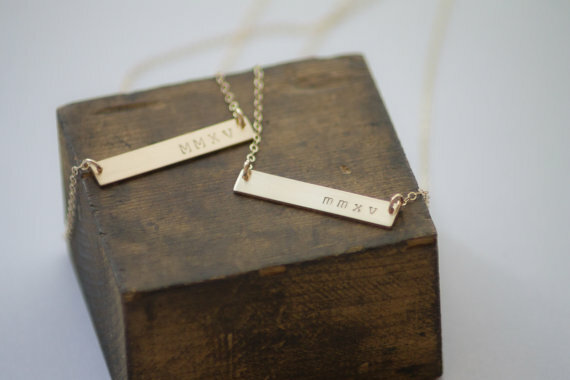 There are so many ways to personalize these necklaces, the options are endless (your initials, wedding date, kids initials etc!). Head over to Instagram to see all of the details and enter to win! We will announce the winner (&friend) on Sunday morning, GOOD LUCK! !